If you're an Internet Marketer you know that building multiple lists, across different niches not only safeguards & diversifies your income but it boosts your brand and reputation faster than any other marketing activity. 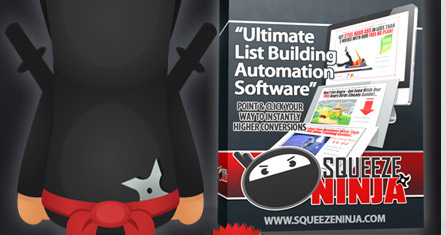 With Squeeze Ninja that 'ideal vision' of list building simplicity has been made real! With Squeeze Ninja you have the flexibility to create any kind of page: Text based, graphic rich or video based pages with literally thousands of style and design variations so your pages will always stand out! Squeeze Ninja also creates your gift/freebie/bonus delivery page automatically - Basically all the hard, complicated, technical and time consuming stuff gets completely done for you in a matter of seconds. comes down to how easy it is to use? And that's where Squeeze Ninja will become the only solution you'll ever need! Worse still, some need an entire installation of WordPress to work (how crazy is that?) ... And others come with such stupidly expensive monthly fees that the average site owner just cannot afford them. It had to work but it had to work fast! We brought in one of the smartest coders online (with over 30 years experience) and introduced him to one of the top sales & copy conversion experts we know... The result after several months of hard work and thousands of dollars in development is an application so good it would have been criminal not to share it. Squeeze Ninja is an achingly powerful, yet simple to use web based software that enables anyone to create beautiful, high converting pages! The initial brief was for a system that could build an entire sales funnel from start to finish without coding or designing that took less than 10 'fill-in-the-blanks' type steps... The good news is they beat that plan! With Squeeze Ninja you can do EVERYTHING in just 8 easy steps! 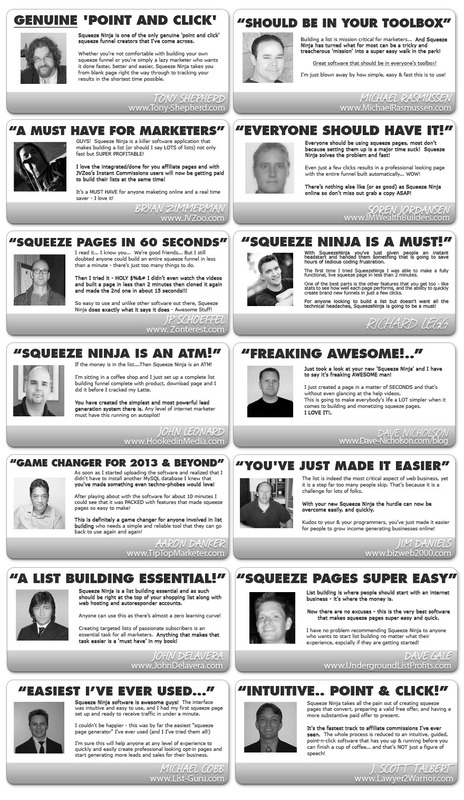 If you don't want to spend time, researching and writing up reports, designing cover graphics and writing sales copy for your squeeze pages our "EZ-SQUEEZE" plugin for Squeeze Ninja is the perfect solution! EZ-Squeeze is simple to use. Simple enter your unique EZ-Squeeze 'plugin code' into the Squeeze Ninja control panel and you'll instantly have 25 pre-designed campaigns to choose from right inside your software. Nothing extra to upload or modify - and it's 100% INSTANT! you'd think it was Witchcraft! 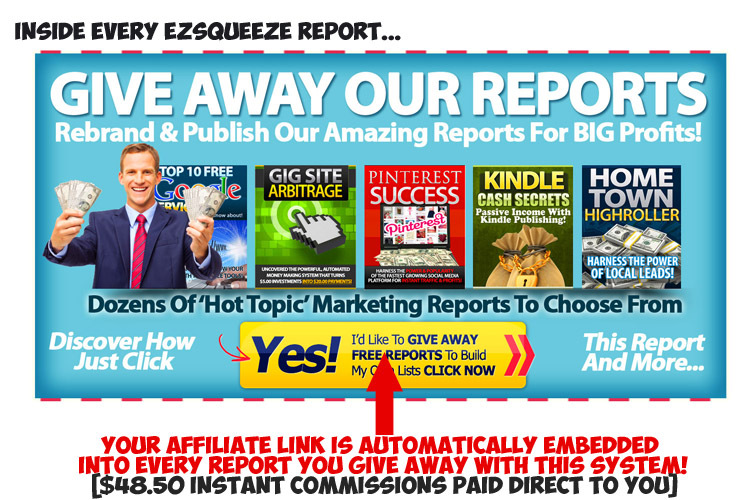 Pick a hot topic report from the list of 25 pre-made campaigns inside the integrated EZ-Squeeze command panel, choose a name for your squeeze funnel (for your dashboard) then click to publish the whole thing live... That's It! The report is created, the squeeze page is built (you can still edit and tweak the design if you want to) and the back-end and delivery pages are all instantly built for you. You don't have to edit the reports, you don't have to upload them or set anything up... It's all done for you! Inside each special report you'll be giving away to build your list, are 2 ads for a highly targeted and almost irresistible special offer your readers will want to buy. When your new subscriber reads the report (that automatically includes your affiliate link) and goes on to buy the offer you'll earn an instant commission via the JVZoo network! 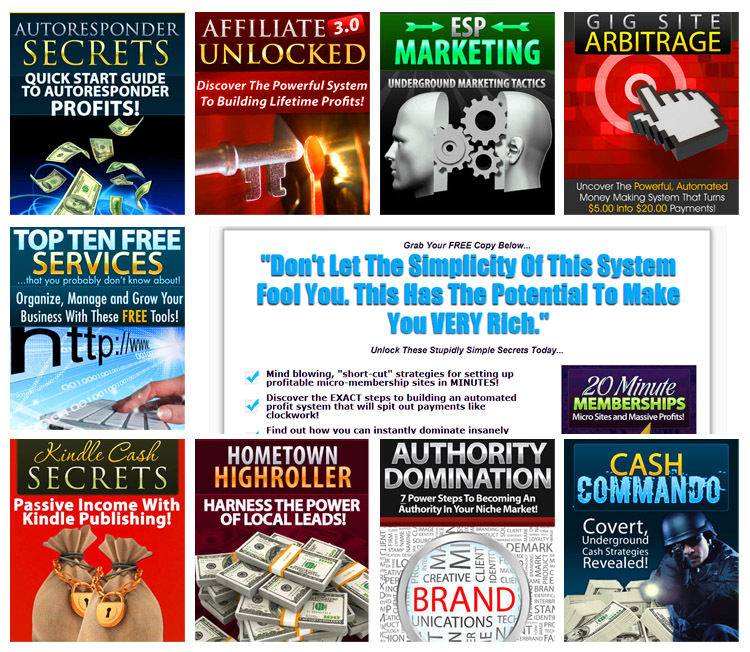 Imagine... Getting PAID To Build Your List! 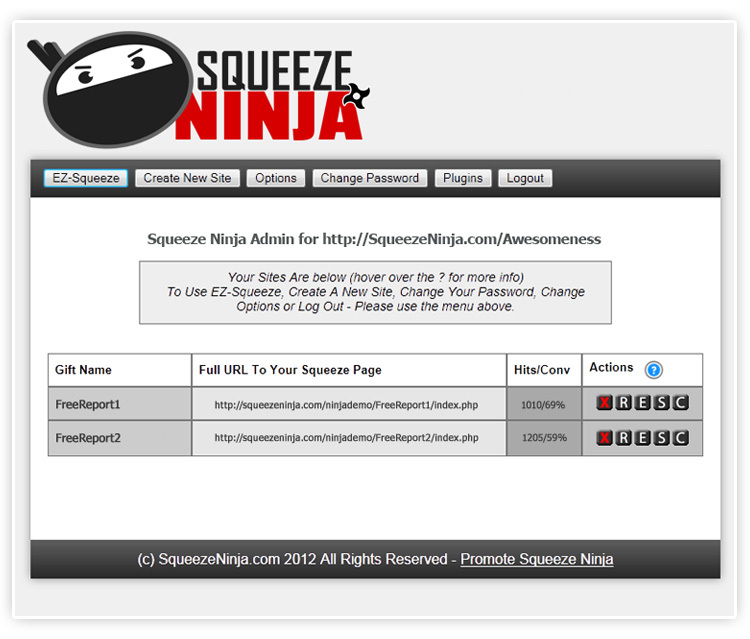 You can give away unlimited numbers of each report, if you picked up the Squeeze Ninja multisite license on the previous page you can also deploy the EZ-Squeeze plugin across all of your installs and there are no ongoing or licensing fees to worry about! Now every report you give away has the potential to put more cash in your pocket! Save A Fortune In Development Costs! & Shave 3 Months Off Your Workload! ... Each unique 15-25 page report, cover graphic & squeeze page sales copy set costs us around $750. Yes you could write up new reports yourself... (and truthfully that would be the ideal approach to take), but let's face it, it's not a perfect world, you don't have months and months to devote to writing - who does? And true... you could hire a writer and outsource your own reports... but you'd see no change out of $19,000 to get the same value as we've put together for you here and then you'd still need a killer offer to monetize them with on top of everything else! So rather than force you to wade though tons and tons of stuff where we just gush about "how great this thing is" we thought you'd be better served by simply getting started and using it yourself today! That's why we're making you this GUARANTEE! Then if you are not 100% delighted and satisfied that the software does everything we say then just let us know and we'll refund your payment without question! Try It - And Love It or Your Money Back! 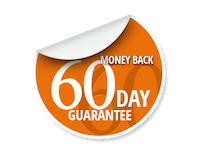 Effectively this guarantee gives you a full 2 month trial before you even need to decide if Squeeze Ninja is the answer to all your list building prayers!